Everton legend Kevin Campbell has hinted that his son Tyrese could follow in his footsteps by walking out in the famous blue shirt at Goodison Park. The 19-year-old, who is currently on loan at Shrewsbury from Stoke, has recently been named as the EFL’s Young Player of the Month for March, and it was his dad’s response that has led to some speculation about a move to the club where his dad spent six years between 1999 and 2005 for the young forward. After Campbell senior tweeted of his pride at his son’s award, a number of Everton fans replied by asking him if there was a chance of a move to Everton for the 19-year-old, leading to Campbell providing a cryptic response. Thanks Marie. We shall see in the future! ???????????? Very proud and who knows what happens in the future! ???????????? So with his father hinting at a move to Goodison Park, could that be a potential destination for the younger Campbell in the future? We asked some of our Football League World for their thoughts. “It certainly makes sense, so I wouldn’t be too surprised to see a deal materialise in the future. “Campbell is obviously an Everton legend and he would love his son to ply his trade for the Toffees one day. “It would be a big step up. “Campbell is doing well out on loan but he is playing in League One and the focus should be on getting into the Stoke team next season. “At 19-years-old, Campbell still has plenty to learn in the game. “He has however shown plenty of potential, and if he continues in this way club’s higher up the pyramid will come calling. “Campbell has got a bright future ahead of him and has really impressed me with Shrewsbury this season. 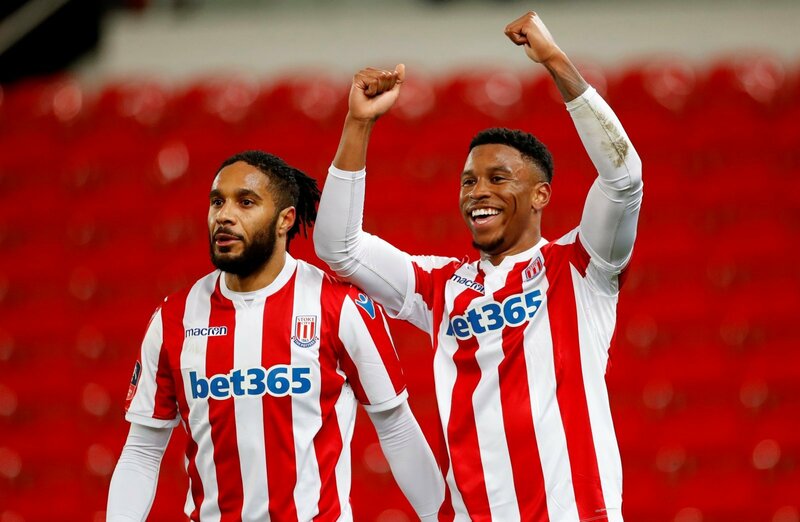 “Having already scored for Stoke’s first-team, he’s shown that he can make the step up to first-team football.